The Childress Institute for Pediatric Trauma supports the Pediatric Trauma Caucus in Congress. The caucus was launched at a pediatric trauma briefing chaired by Reps. Richard Hudson and G. K. Butterfield in May 2016. Childress Institute Executive Director Bob Gfeller moderated the briefing and co-founder Richard Childress addressed the audience. 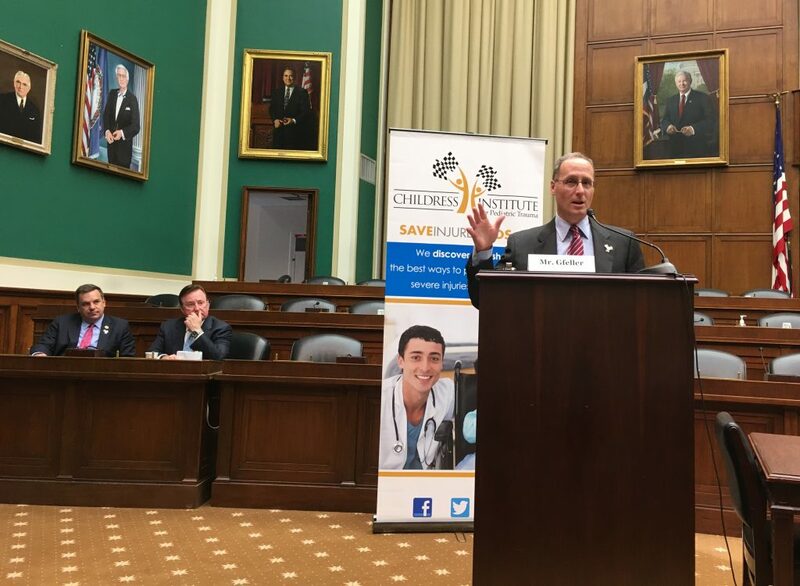 Since the launch, we’ve participated in two more briefings and a pediatric trauma day of meetings with members of Congress to encourage participation in the Pediatric Trauma Caucus. You can help by asking your state representatives and senators to join the Caucus. Stay tuned for more news on our advocacy plans and ways you can support the initiative.